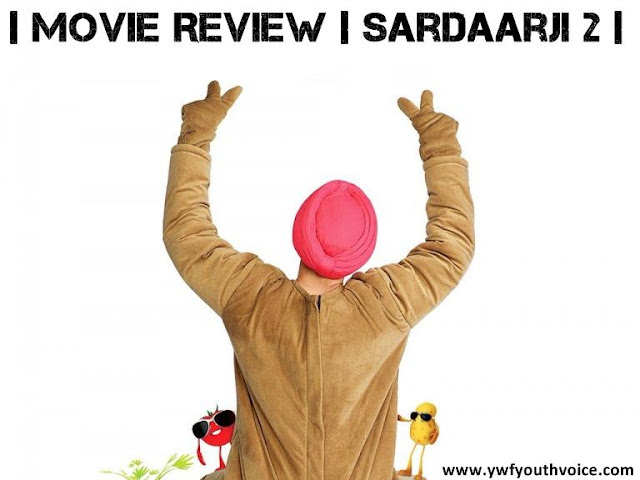 Sardaarji 2 (2016) Full movie review including synopsis, good points, bad points, ratings for story, music, direction, editing, screenplay, star performances, overall and the final verdict. Starring: Diljit Dosanjh, Sonam Bajwa, Jaswinder Bhalla and Monica Gill. You may have heard that this is just a comedy movie showing story of a short-tempered farmer who visits Australia to raise the must needed large sum of money to save his village, but I'll like to tell you that it's not just another Punjabi comedy movie. This movie raises social issues regarding farmer suicides that exist in almost every part of India, message is delivered quite beautifully in the movie. Diljit Dosanjh, this guy can do any kind of role perfectly. Social Messages for all the farmers specially Jats of North India. Some scenes will make you ROFL. Some songs were added forcefully. Story could have been a little better. Female characters are annoying, no work was done on their dialogues. Star performances were below average except Diljit. Don't watch it alone, watch it with family or friends to double the fun.